The Mississippi Department of Public Safety (DPS) requires enrollment in a driver's education course if you're 14 years old and wish to obtain a learner's permit. Mississippi traffic laws and violations. The MS DPS licensing process. Alcohol abuse, violations, and consequences. Safe driving tips and defensive driving behaviors. On this page you'll find information about Mississippi Driver's Ed completion options and the next steps towards getting your first driver's license. In order to obtain a Mississippi driver's license, first-time drivers younger than 17 years old must first practice driving with a learner's permit. The minimum age to obtain a regular learner's permit is 15 years old. However, you can obtain a limited leaner's permit at 14 years old if you are enrolled in a Driver's Ed program at your school. The limited learner's permit will be valid for the duration of your driver's education course and will only allow you to drive with your driving instructor. For more information on applying for your MS learner's permit, please see our Drivers Permits in Mississippi page. Driver's Ed must be taken at the school that you are currently enrolled in. Substance abuse awareness and consequences. Safe and defensive driving techniques. For specific information about driver's education programs available to you, please contact your high school, or call the Mississippi DPS at (601) 987-1212. 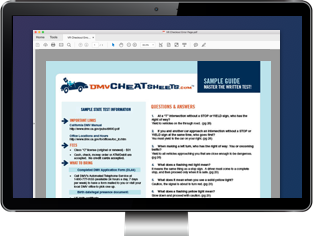 Students without access to a high school driver's education course and new drivers of all ages may consider enrolling in an online Driver's Ed course to help prepare them for the DMV written permit test and driving skills assessment. If you decide to obtain a limited learner's permit and take driver's education, you'll begin to build a valuable foundation of safe driving skills and knowledge that may serve to greatly benefit you when you take your driving test and start driving by yourself. Upon completion of your MS Driver's Ed course, you can apply for your regular learner's permit once you turn 15 years old. Pass your driving skills test. For more information about the documents, forms, and fees necessary to obtain your first driver's license, please see our Applying for a New License (Teen Drivers) in Mississippi page.